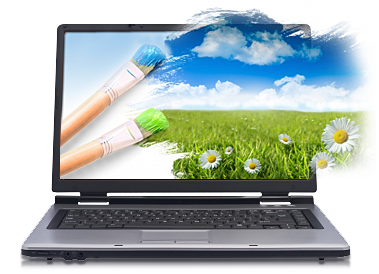 Flash website usually make the mundane pages come alive with flash artwork and graphics. Our team has professionals that are capable of taking up this challenge and come up with excellent Flash work. This can help to get the audience hooked up and thereby inspire them to click; to ensure that they step into the website. Thus with an excellent Flash interface we are able to Cultivate Interactivity and Draw the attention of audience to Retain it fully! The Flash Website designs of ITPL are based on designs that include conceptualization of the idea, and its subsequent graphic developments. We work on the aesthetics, color schemes, and attention seeking capacity of the graphics. These are maneuvered in a manner that they not only showcase the products and engage the users with attractive flash graphics but are also able to increase visitor retention tremendously. As a Flash Website Designing Company, ITPL provides highly competitive solutions that are totally out of the box, and can give your customers good returns of their money. The artistic Flash creations are therefore great show windows to the work and its expanse that we provide. Our clean graphics, with attractive color schemes and captivating imagery are certainly show stoppers in the sites. They have the capacity to make the casual browser to stop and see what the site has in store for them. This certainly adds potential to the online business of our customers. Not only this the sites thus created also search engine friendly; making them rank well with the search engines as well.